The interaQtive book will be published within the coming months in a Swedish and an English version! Learning is a challenge. To design a workable learning experience is even more challenging. It is like moving art with a well-defined purpose and goals. This book is intended to work as a practical guide to improve the prospects for you to succeed in your project. 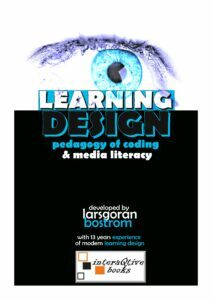 It includes four parts, beginning with an introduction to learning design including the latest trends within the field.